Barton Junior Football Club caters for boys and girls from 5-16 year at its home on Pasture Road. It is a self-financing and voluntary organisation and has been operating very successfully for 30 years, playing in the local junior football leagues with a fair amount of trophies won over the years! Barton Junior FC was the very first football team in the area to obtain Football Association Charter Standard, which is cherished greatly. 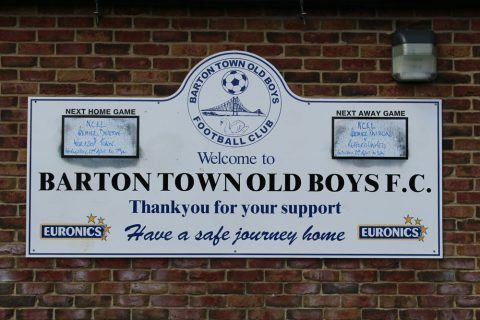 Barton Town Old Boys Football Club was formed at the start of the 1995/96 season as a result of the amalgamation of the two longest established and most successful clubs in the North Lincolnshire town of Barton upon Humber, Barton Town FC and Barton Old Boys FC. Barton Town has been in existence for well over 100 years, being formed in 1880 and playing out of their Marsh Lane ground, still the home of the new club, since 1927. ‘Town’ was one of the founder members of the Lincolnshire League, winning it in 1960/61, before embarking on its ‘golden era’ over the following two decades, initially in the Midlands League and then in the Yorkshire League. The club returned to the Lincolnshire League in the early 1980s, winning the first division title in 1981/82. The ‘Swans’ remained in the league for the next 10 years before dropping out for the usual off-field reasons, lack of help and finance. Barton Old Boys has been a member of the Scunthorpe and District League since 1959, eventually boasting two sides in the first and second divisions. Over the ten-year period from the mid-1980s, the ‘Old Boys’ were arguably the most consistently-successful team in the League, culminating in 1994/95 with the winning of all four major Scunthorpe League competitions, a first at the time. In order to progress, the two clubs merged and started the 1995/96 season in the Lincolnshire League. Football for boys and girls from 4+, and all abilities are very welcome, Thursday evenings at Baysgarth School. Barton and District RUFC is a men’s rugby union club based in Barrow upon Humber. Players of all abilities are welcome to join – training is every Wednesday from 7.00pm – 9.00pm. Ladies hockey club playing at Euronics Cricket Ground on Marsh Lane – new members welcome! Founded in 1919, the Brigg Road Bowling Club has its own club house and is open every Monday and Thursday afternoon, from April to September, and at other times when matches are on. Entrance to the green and clubhouse is on Park Avenue, off Brigg Road, and new members are very welcome. 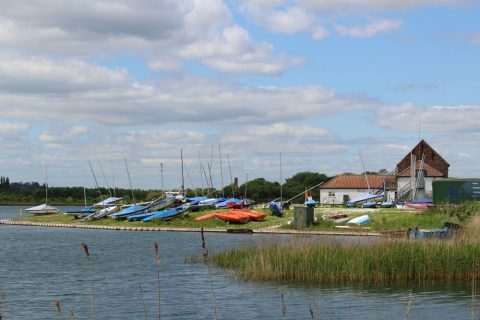 North Lincolnshire and Humberside Sailing Club is a family-orientated club owned and run by its members. The water is available for surfing and windsurfing 365 days a year. Dinghy racing usually occurs on Sundays and windsurf racing on Saturdays. There are special children/youth training sessions on Wednesday evenings for windsurfing and Thursday evenings for dinghies. Adult training can be arranged, usually on a Saturday. All instructors are volunteers so all training is subject to their availability. The Club currently has around 70 members of all ages and caters for most racing disciplines. New members are particularly welcome, whatever their cycling interest. We promote club time trials on Thursday evenings through the summer, plus an open time trial, a Lincolnshire League road race and two veterans’ road races under LVRC rules. The Skelton School of Classical Ballet offers tuition in classical ballet, modern theatre dance, tap and natural movement for students from 3+ through to adult. This is a friendly dance school offering children a chance to learn, the opportunity to perform and to take dance exams accredited by the Royal Academy of Dance and Imperial Society of Teachers of Dance. Enrolment is on an ongoing basis and can be completed at any time during the year. Learning to dance is a great way of keeping fit, making new friends and building self-confidence. Dance classes for children and adults held weekly in Barton, at the Assembly Rooms. Classes include exams, social and fitness classes. Styles covered include ballroom, Latin American, sequence, salsa, rock’n’roll, zumba, showdance fitness, keep fit, ballet, tap, modern and performance arts. 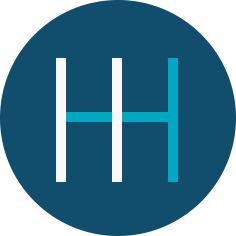 Classes are taught by qualified, DBS-checked, experienced teachers and tuition is available on a group or one-to-one basis, including professional tuition. We are an ISTD-Approved Dance Centre and Trinity Guildhall exam centre for music. We are licensed to teach Melody Movement classes which include: Little Bear Feet, Melody Movement, Tip Tap Toe & Groovy Moves, First Ballet, Foundation Ballet and Junior Ballet. Also a Sports Leaders UK approved centre offering Young Leadership (9 – 13 years), Level 1 Dance Leadership (13 years plus) and Level 2 Dance Leadership (16 years plus) qualifications. Rushby Dance and Fitness Centre offers four mirrored dance studios with harlequin flooring, a large reception area with refreshments, full wheelchair access and facilities, and a specialised dance wear shop. The dedicated team of instructors offer a wide range of classes including American smooth, Argentine tango, ballet, ballroom, cheer dance, cycle fit, hip hop, jazz, kettlercise, Latin American, pilates, salsa, tap and many more. Group and one-to-one tuition can be accommodated, and all instructors are DBS-checked. Children’s parties are also available upon enquiry. 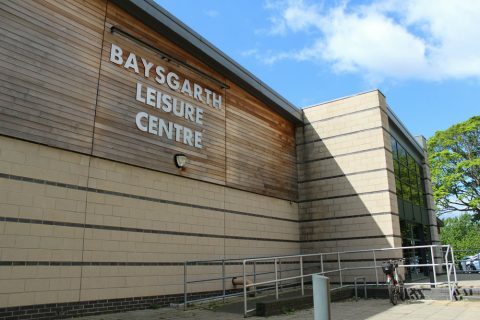 Baysgarth Leisure Centre is a multi-purpose facility in Barton upon Humber, managed by North Lincolnshire Council. Its gym offers 26 pieces of the latest resistance and cardio-vascular machines from the Johnson range. There is also a four-court sports hall, an aerobics studio and a 20-metre, four lane swimming pool and accompanying changing facilities for families and customers with disabilities or who require assistance – both of which offer specialist equipment. Baysgarth Leisure Centre also offers exercise classes including yoga, aerobics, kettlebell and fitness pilates. Action packed fun for the children, aged three to 16 years, during the school holidays is also offered with the Centre’s Energize holiday programme. Bank Holidays: 9.00am – 6.00pm. 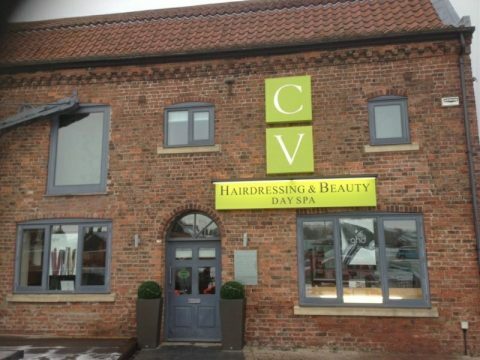 CV Hairdressing and Day Spa combines the precision and brilliance of a Sassoon hair salon with the tranquil, relaxing and pampering environment of a luxurious beauty day spa. The building comprises three floors of pure beauty bliss offering treatments such as Hot Tub relaxation, massage, facials, manicures & pedicures, nails, make-up, waxing, tanning, hair colouring, hair cutting and styling, and many more. CV Day Spa provides a relaxing and rejuvenating setting for you to enjoy your moments away from working life. North Lincolnshire Council’s Youth Sport Programme provides a diverse range of multi-sport opportunities across North Lincolnshire for young people aged 8-19 years old (up to 25 with a learning disability). The sessions provide a safe environment for young people to come along and get active, learn new skills, chill out with friends and make some new ones. The sessions are informal and multi-sport based, with the emphasis being on fun, enjoyment and getting involved. This means that young people could be playing football, cricket or basketball during one session, and at the next they could be playing ultimate Frisbee, street golf, rock-it-ball, Street Dance and many more activities! The project aims to give young people the chance to take part in positive activities and develop new social and leadership skills. Opportunities are also available for young people to volunteer on the programme and take part in relevant training. For those participants aged 16+ we offer the opportunity to become a volunteer. This means the young person will gain experience and access to training to improve their skills. This is the ideal starting point for anyone wanting a career in sports coaching and leadership. All the sessions are free, so what are you waiting for? Get involved today!